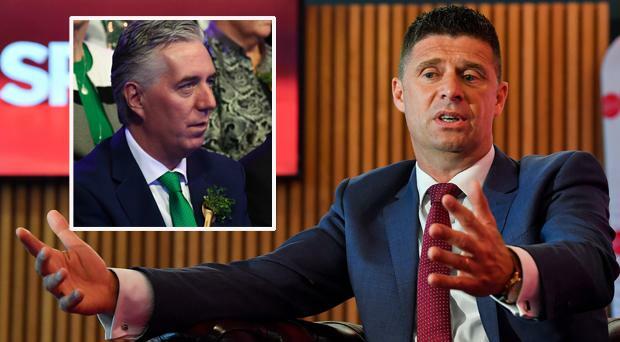 Niall Quinn has ruled himself out of the running to replace John Delaney as CEO of the Football Association of Ireland. In a shock move On Saturday, it was announced that Delaney was stepping down as the CEO of the FAI and will now take up the role of Executive Vice President. The news came just one week after it emerged that he had paid €100,000 to the association in the form of a bridging loan back in 2017. Another report in the Sunday Times yesterday revealed Delaney's €3k-a-month rent is paid for by the FAI. "Under absolutely no circumstances will I be applying for the job, given the current remit of where this job sits," Quinn said on Virgin Media this evening. "I don't think it reads as a CEO role at all. I think it reads as half a CEO role and anyone going in there will have a huge shadow over them because the departing CEO hasn't departed at all and it would make life very very difficult. "Quite frankly I think it's a little bit of a charade, given the scrutiny that was in place over the last week. The rush of the appointment, the unanimous decision of the board to tell us all late on a Saturday night in the middle of some serious scrutiny on the CEO at that time, that this was great for the association and it was a great move and everyone should back it. The FAI statement confirming Delaney's move said that the changes were a consequence of a governance review that was commissioned in February and undertaken by sports governance expert Jonathan Hall Associates, and their principal Jonathan Hall, who is a former Director of Governance and Director of Football Services with the English FA. Quinn says that no CEO will have the drive to go in under such circumstances. "How can you go in there with this great vision? In any other company in the world a CEO can make great decisions about the association or the organisation they are in. With the departing CEO not departing at all and taking responsibility for some of the more prettier roles in terms of heading off to UEFA. It just doesn't sit right. "He has been around a long time, he has done it, he has had his go. It's probably high time now that a different FAI appear. "There is one change that needs to be made and John is there 14 years now, worked hard, did what he did, has his critics and has people who swear by him. I think his time is over and it's time for a new wind of change."